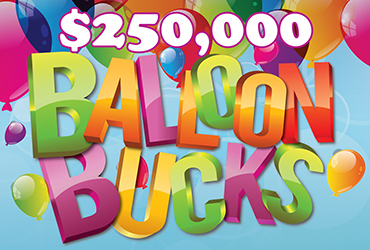 Join us for the $250,000 Balloon Bucks Drawings every Friday & Saturday in February at 6:15 pm & 8:15 pm. Play your favorite Las Vegas Slots and table games to earn entries. Visit our website often to find out about all our current promotions. Follow us on Facebook, Instagram, and Twitter to keep up with everything we have going on!